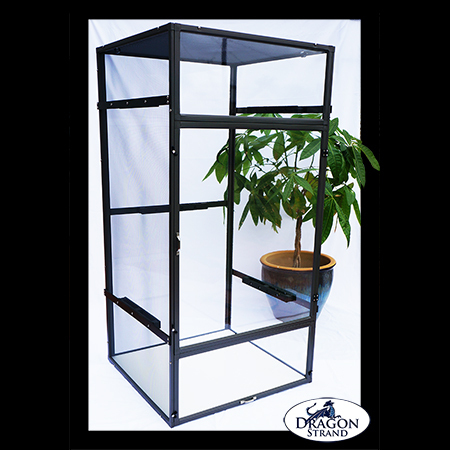 The Dragon Strand Chameleon Caging Company was started to solve the problems we chameleon keepers have in keeping chameleons. One perennial problem was how to build up inside a cage with screen walls that can offer no support. There were, and still are, all sorts of hacks that place stress on the screen or else look less than natural. The patented Dragon Ledges are the answer to that problem. 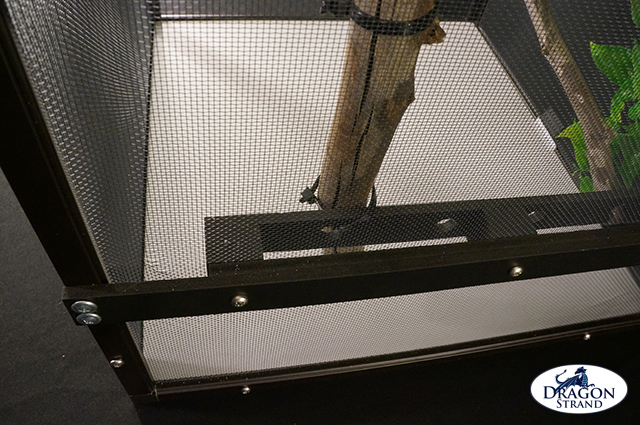 Dragon Ledges are anchors that are mounted to the sides of a cage that offer convenient mounting surfaces for branches. They are permanently attached to the aluminum frame and take all the weight of the branches or potted plants and transfers it to the side frame. Each Dragon Ledge in the set comes with a “Ledge” which is the one piece that goes inside the cage, a Spacer which makes sure the screen wall is not stressed, and a Back Brace that will attach to the outside frame. On this Large Clearside Enclosure, the mounted Dragon Ledges are inconspicuous. Their job is to provide solid support without being obvious. Dragon Ledges are screwed into the side frames. 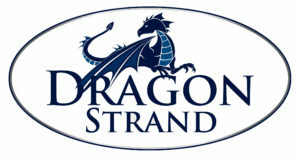 A common concern is that you are making holes in the frame and the screen to install a Dragon Ledge. This is true, but it is okay because this will be a permanent addition to your cage. All holes are covered and out of sight. Once your Dragon Ledges are installed your cage is actually structurally stronger so there really isn’t a reason to take them back off! But if you want to trash the cage and reuse the Dragon Ledges in another cage, this is not a problem. 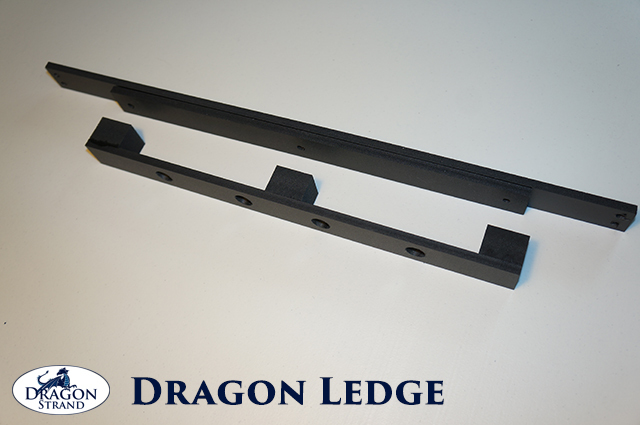 This image shows the mounting hardware for the Dragon Ledges. Dragon Ledges can certainly be used to attach horizontal branches directly. They have holes and surfaces that make it convenient to zip tie just about anything on. But I would like to share the way to get the most out of your Dragon Ledges. Select two thick branches and zip tie them on vertically. 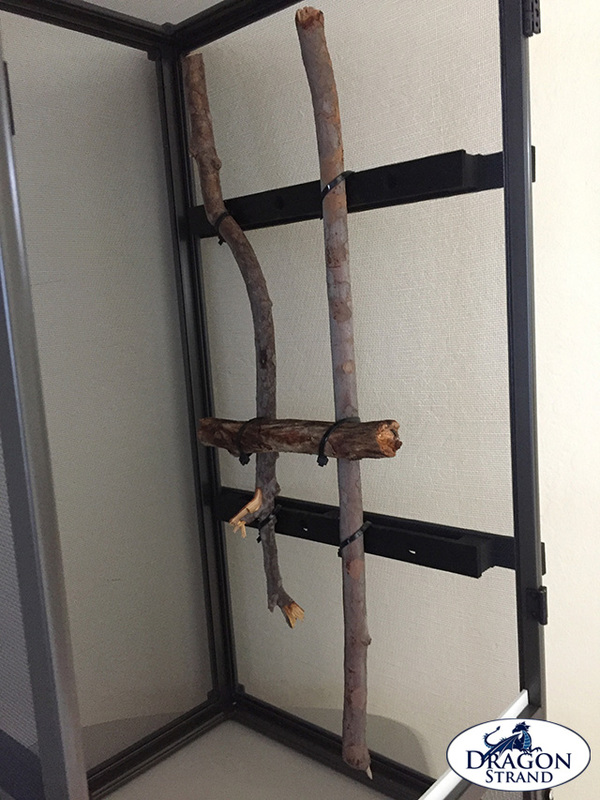 If you get branches that span from a couple inches from the floor to a couple inches from the top panel you have given yourself anchor point all along the side – not just where the Dragon Ledges are mounted. By attaching vertical branches and forming a grid on the Dragon ledges you are free to mount horizontal branches at any level. 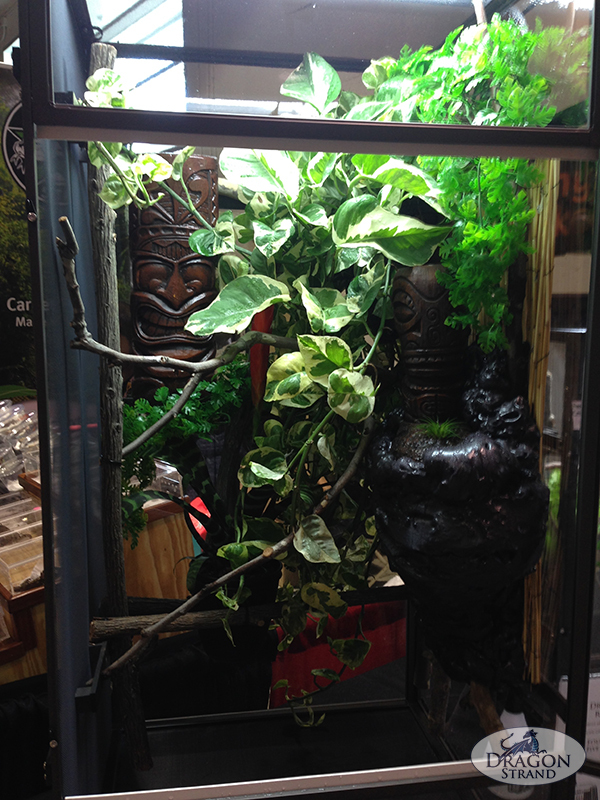 With strong vertical branches attached to the Dragon Ledges, branches and pots may be mounted at any level. If you want to install a potted plant in “mid-air” you will need three points of anchor to fix it in space so it does not swivel on any axis. I like to use each of the vertical posts as well as a crossbeam that I install for the pot to sit on. 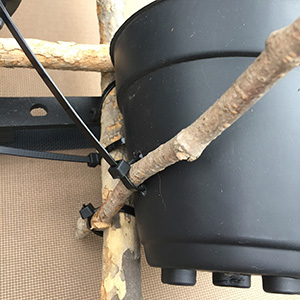 If I am placing the pot somewhere where I don’t have three points of contact, a firmly lashed down stick strategically placed so it brushes the side of the pot gives me that needed stability. I use a double pot method where I use an identical pot to mount and then just slip the potted plant in afterwards. This allows me easy replacement if necessary. 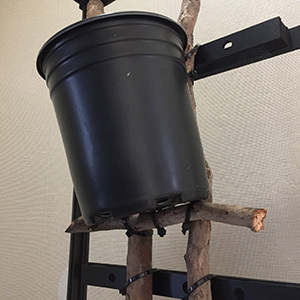 A crossbar branch between the two vertical support posts provides a strong and convenient platform for a plastic pot. 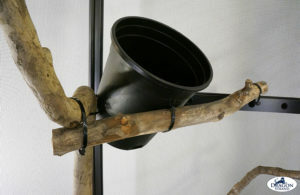 If another anchor point is needed to achieve three points, a branch can be run along the side of the pot. 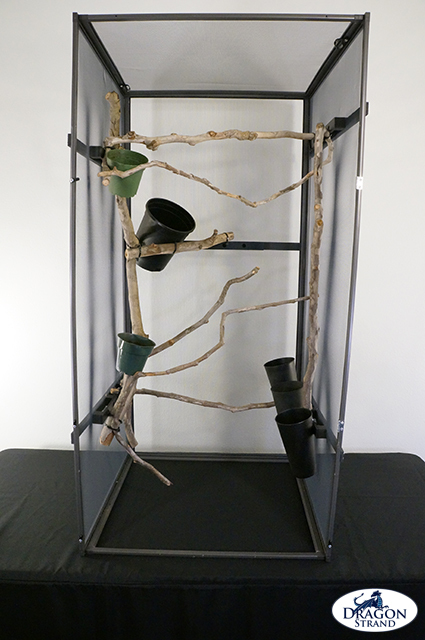 There are many ways to give your pots three points of support using the Dragon Ledges and your branch network. 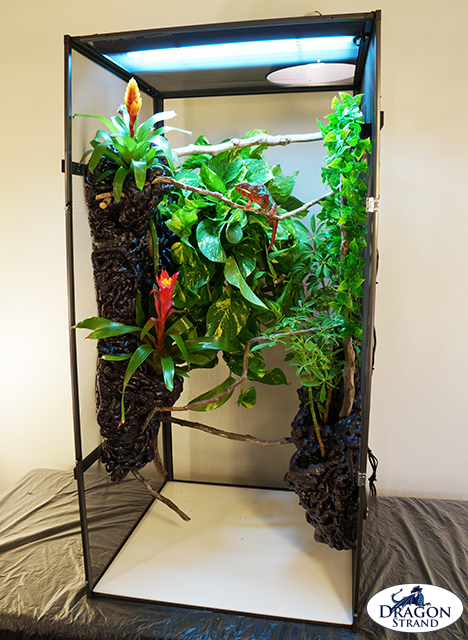 The end result is a cage with a hanging garden type feel with vines trailing down. 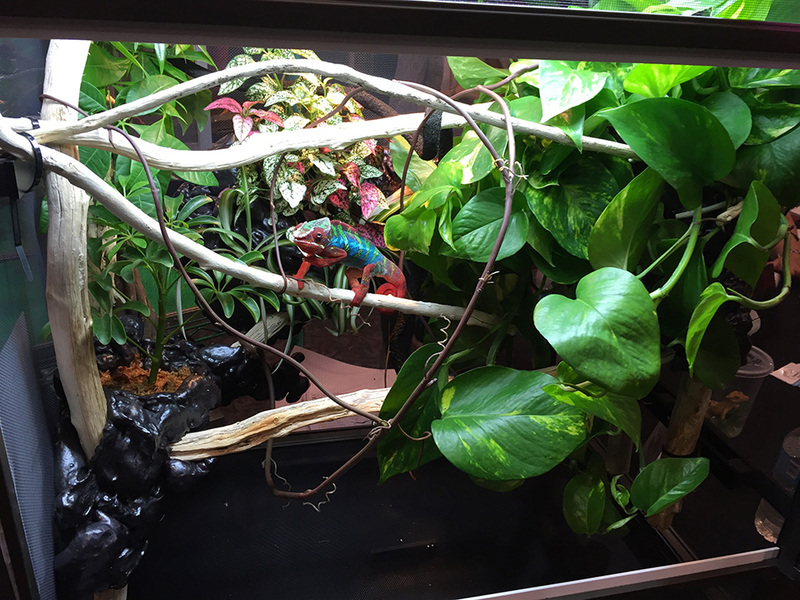 This allows you to create hidden glens for your chameleon to retreat to when he wants to get out of sight and rest or sleep. 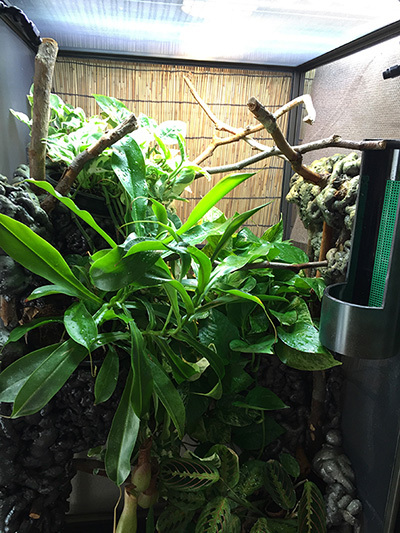 By creating these micro-environments in your cage you can allow a wide range of natural behaviors in your chameleon. Here are some examples of the end result. The purpose of the Dragon Ledges is to be functional without being noticed. Part of our quest for having a naturalistic cage is it looking natural to our eyes. Thus the Dragon Ledges do their job of supporting multiple potted plants while still being as unobtrusive as possible. What type of branches are you using for the inside framing? Is it ficus? I use oak branches because of their strength and character!